» Sony to release a new OLED TV soon, the AF9? 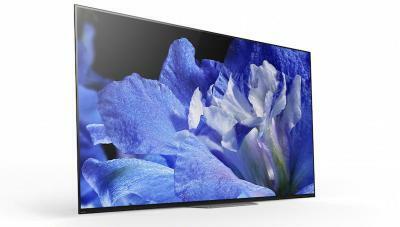 Sony to release a new OLED TV soon, the AF9? Sony only started to ship its 2018 AF8 OLED TVs last month, but apparently the company is already getting ready to release its next-generation OLEDs. Sony accidentally listed some new models on its support website - including the XBR-55A9F and the XBR-65A9F. The page has been already removed, and we don't really know whether these new TVs are real, or maybe these are just future 2019 model numbers. The AF8 TVs, as we said, recently started shipping in the US. The 55" model costs $2,800 while the 65" costs $3,800 (note: these are affiliate links to Amazon).